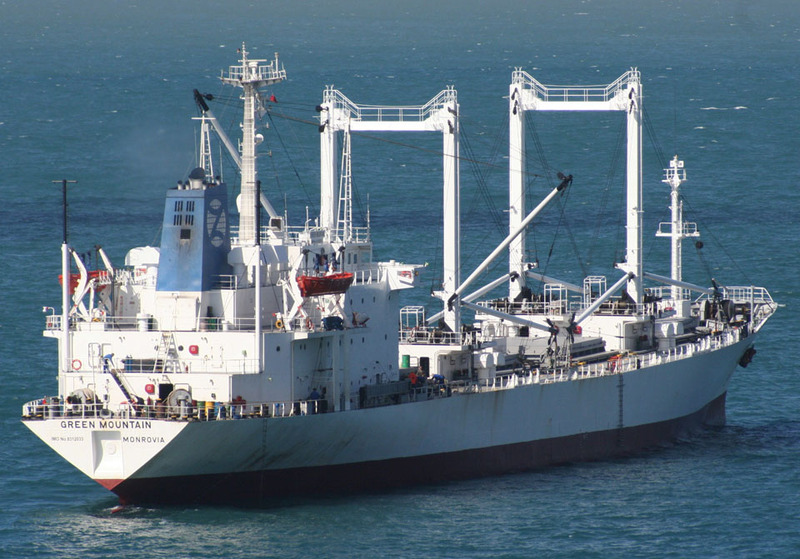 Sister-Ships (near): Nippon Reefer, New Zealand Reefer. 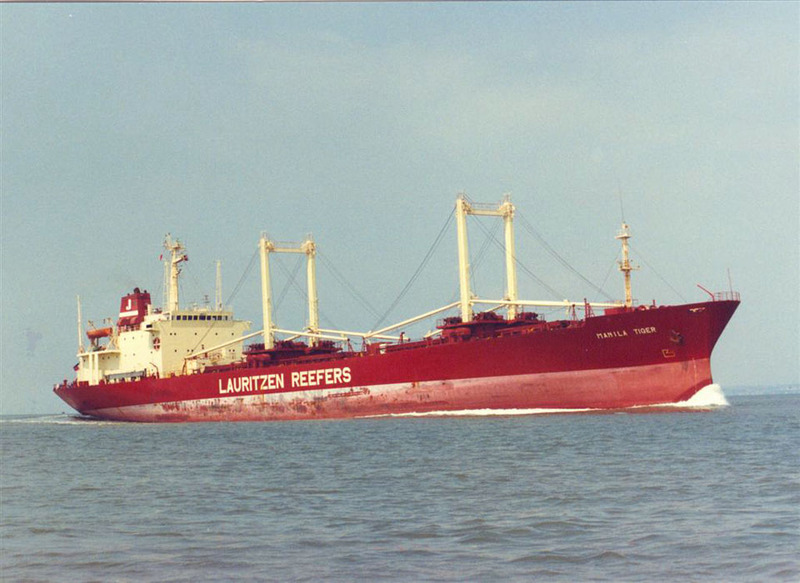 1983: REEFER TIGER, Registered Owner; J Lauritzen. 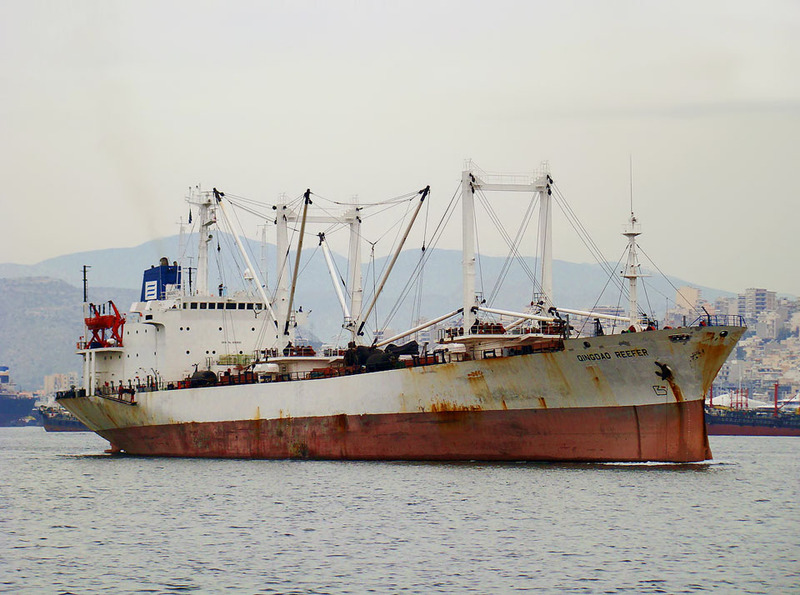 Registered Manager; Open Sea Maritime S.A.
1989: MANILA TIGER. 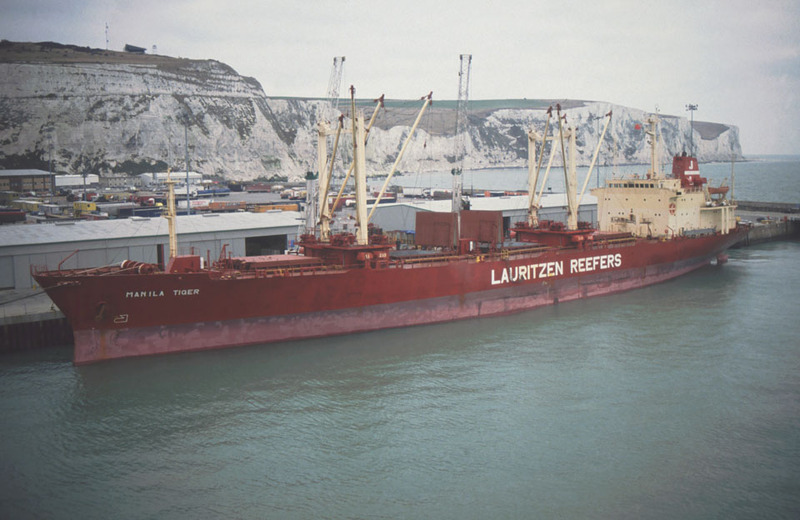 Registered Manager; Sagana Shipping Inc.
1995 : GREEN MOUNTAIN. 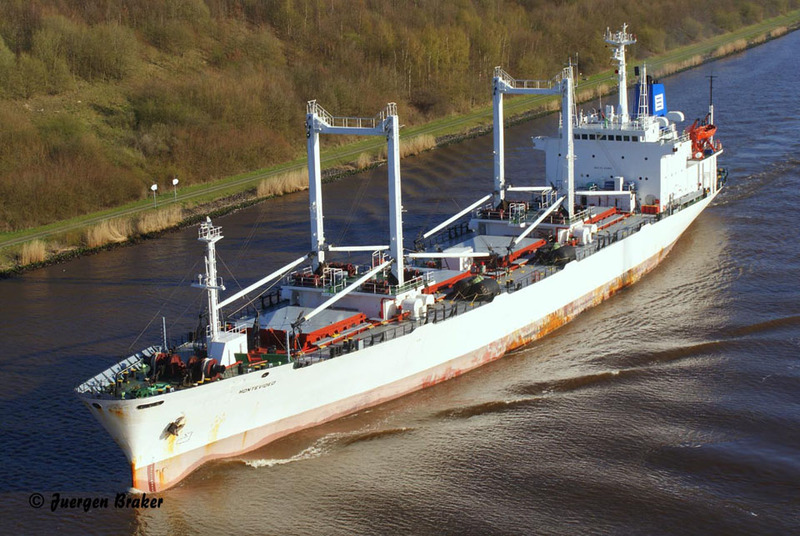 Registered Manager; Laskaridis Shipping. 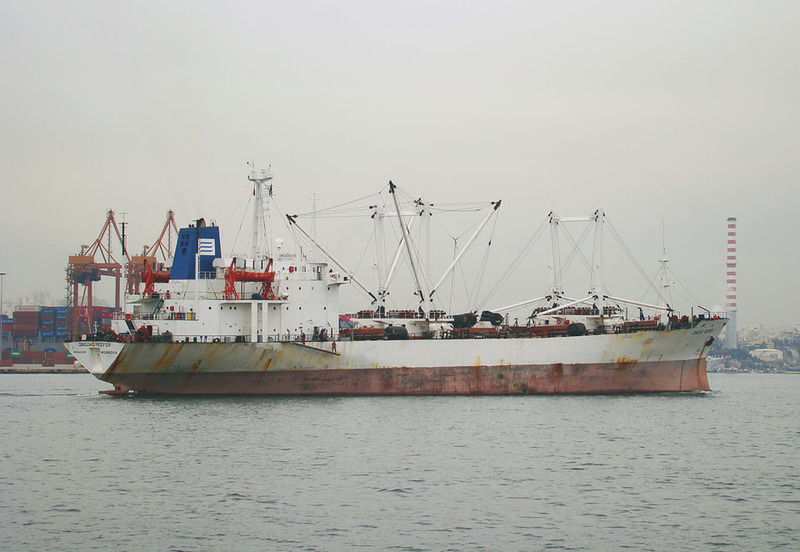 January 15th 2009: Detained at Koper, Slovenia. 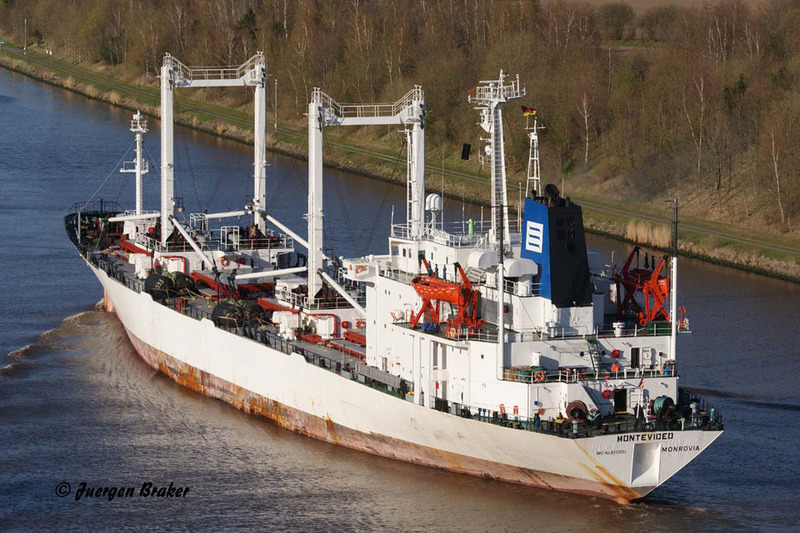 Registered Owner; Laskaridis Shipping Piraeus Greece. Detained for 3 days, 33 recorded deficiencies. 2010: MONTEVIDEO. 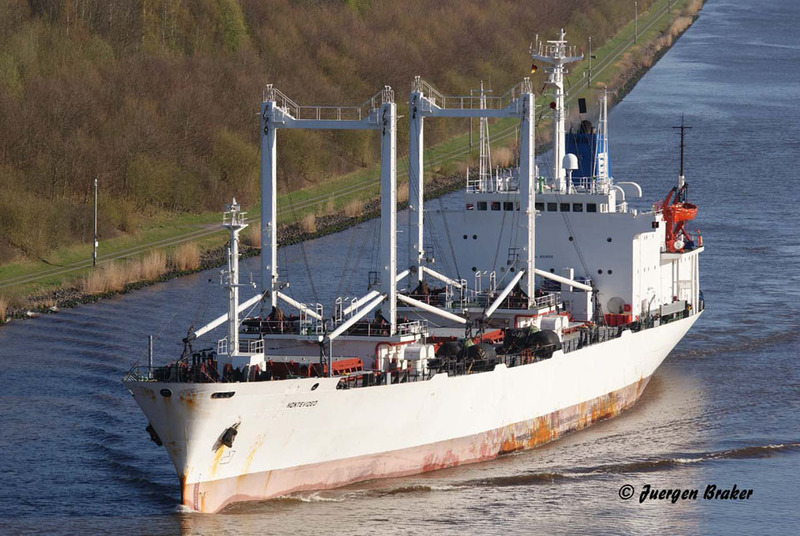 Registered Owner; Sand Lily Corp.
October 2012: Scrapped at Alang. All information is believed to be correct and no responsibility is accepted for any errors or omissions. All items included in this article are subject to © copyright. We would like to take this opportunity of thanking: Juergen Braker, Daniel Ferro, Ted Ingham, Mike Jackson and Dennis Mortimer for their assistance in producing this feature. Very nice Nigel. Your preservation of history is important. Thank you.